While Alberta’s oil sands have been shut down due to fire and while the political debate about coal use heats up, the renewable energy sector keeps on making temperature-reducing progress, and on several fronts. More companies have committed to the EPA’s Clean Power Plan, the latest including Mars, IKEA, Blue Cross Blue Shield Massachusetts, and Adobe, who join the likes of Google, Amazon, and Microsoft. Their public announcements continue the momentum begun last year when 365 companies and investment institutions registered their support. 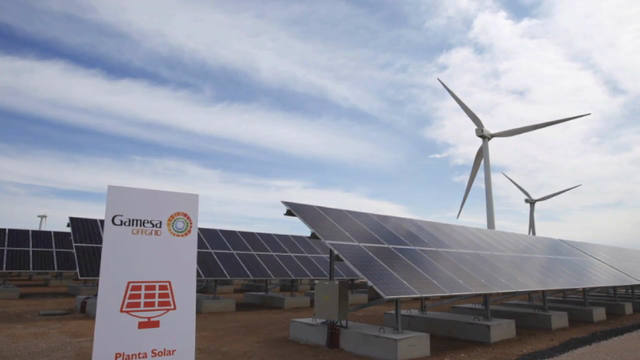 Gamesa, the Spanish wind power manufacturer and developer, is at work on an innovative project to add solar, storage, and diesel to a wind facility, to test the viability of combining renewables and storage to minimize the use of fossil-fuel backup for off-grid applications. And in an ironic twist, major fossil fuel companies Exxon and Shell are making substantial investments in carbon capture and storage solutions to develop affordable means of capturing carbon dioxide from natural gas power plants while producing additional power in the process. It’s a reminder that the energy systems of the future are going online today.